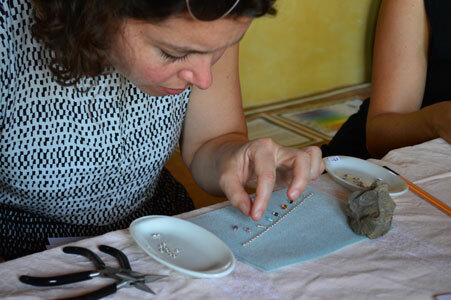 I run Chakra Jewellery Workshops for Retreats and Private Holiday Villas. 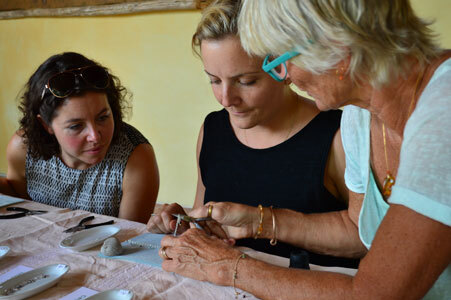 The workshops are for groups of 4-8 people at a time and run for 1½ to 2½ hours, depending on numbers. No previous knowledge of jewellery making is required. 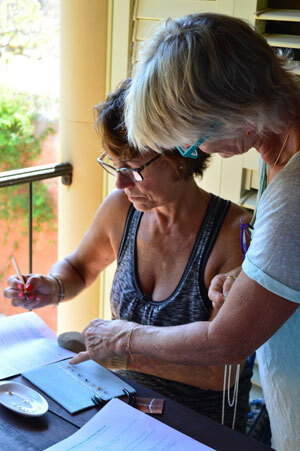 Each person has their own workstation with a tray, work mat, tools and an explanatory leaflet about the chakra gemstones and their healing properties. 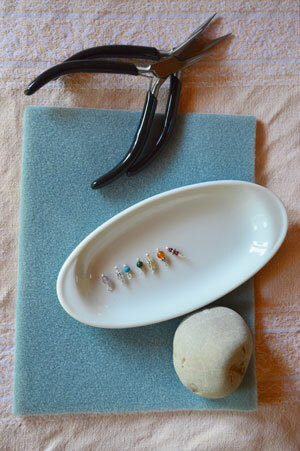 I lay out seven trays of gemstones (for the 7 chakras) with a varying selection of readymade dangles (handmade in advance by myself) with a single chakra stone on each. Two more trays hold jump rings and clasps. 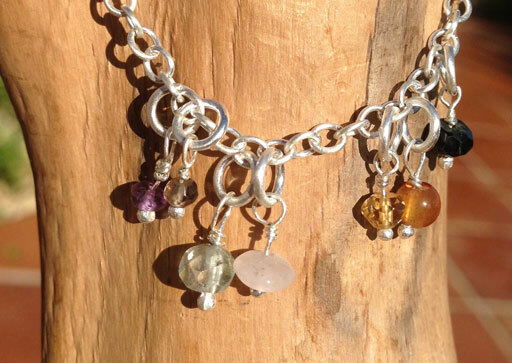 I give a brief insight into the chakras and explain the making process to everyone, then I cut custom lengths of chain per person whilst they all choose the stones that resonate with them (7 each). They then set out the chain on their individual mats and place the stones where they would like them to hang on the bracelet. I teach everyone how to assemble the bracelet. Finally I check (and finish if necessary) everyone’s piece of work before they take it away with them. The standard cost per person (including materials) is 60€ for a Sterling Silver bracelet, however if anyone would prefer to make a necklace instead then it will incur a further cost of 30€. I also offer the choice of using 9ct Gold. See prices below.